Alison Paine is a professional architecture photographer and graphic designer who worked for large Perth architectural practice Cox Howlett & Bailey Woodland Architects for fifteen years. The last eight years was in the capacity of Graphic Design Manager and in-house photographer. Alison’s architecture photography has been featured in many publications including Scoop, Trends, Steel Profile, The Builder’s Choice, Esque, and many volumes of the Australian Institute of Architects awards yearbooks. As a published photographer Alison has been photographing architecture and interiors for many building types including cultural, commercial, education, sports, retail and residential. Alison collaborates exclusively with architects, interior designers, builders and developers to provide custom photography for businesses looking to show their work in the best light possible. Working alongside architects for fifteen years has given Alison an exceptional insight into the workings of architectural studios, building types and the design process. Being immersed in the marketing of a studio has honed her skills of seeing what makes a truly memorable photograph. 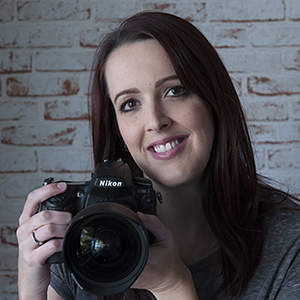 Alison learned photography under the tutelage of Graham Sands, a prominent Perth architectural photographer (now retired), and continued her studies with a Diploma of Photography. In 2011 Alison established the brand ‘Alison Grace Photography’ to branch into the photography of people, liaising with private clients in weddings, portraits and occasional commercial work. In 2016 Alison realised that her true passion lies in the origins of her training in architectural photography and commercial photography. Alison decided to step away from her role as Graphics Manager to focus on photographing beautiful architecture full time. Collaboration is key to creating images that represent your studio, to market your company to the world and ensure you have a photographic record of your design intent and outcome. Building strong relationships with clients is important to Alison, listening and sharing ideas provide a cohesive environment for unique outcomes. Upon the engagement of Alison’s services, it is helpful for both parties to meet and have a chat, using this as an opportunity to look over plans, sketches, renders and elevations, discussing the initial concept for your project and hearing what your favourite design elements are. This provides Alison the base information to get a true feel for the project which in turn supports the photographic experience. If you are short on time, you can be reassured that Alison’s photographic expertise means the images you desire will be captured and provided for you seamlessly.